The 2.0 ken shape is thicker and boasts several improvements over the original Kaizen. 3 Piece Traditional Assembly made of Ash wood. Larger cups than the original Kaizen. Cup rims widened and arched to lock in stall tricks. Refined slip stop for better grip and stalls. Thicker shape designed to improve balance. Triple Split design great for tracking. This Kaizen Kendama comes in professional packaging and includes an instruction manual, free stickers, plus a white replacement string and bead pack in the box. 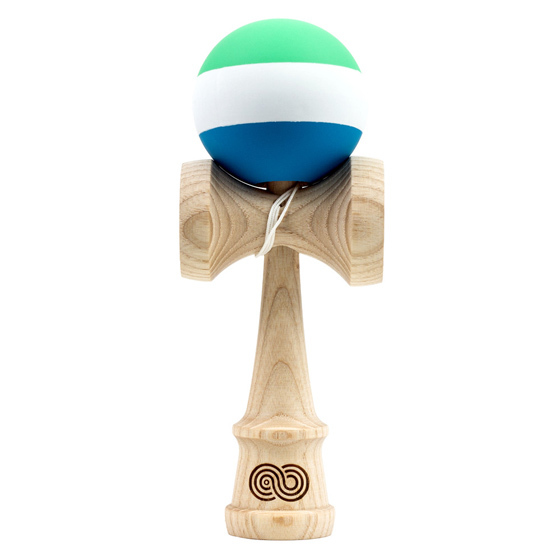 This is a standard sized Kendama: 7 inches tall.